Christmas is coming and it is time to look at the old wish list. My family laments the fact that I have all the $30 woodworking tools. Anything I still need/want is going to be more. Assuming you have been a good boy or girl, perhaps it will be a fruitful year in the workshop. For the sake of any of you friends and family (particularly my son Jon) who might be looking for something to grace this old blogger, here is my list for this year. Maybe there is something you might like on my list. 1. I would like to be able to write songs like Brian Wilson of the Beach Boys and sing like George Younce of the Cathedrals. Oh wait, did you say this was a Wish List for a Woodworking store? Sorry, those two just slipped out. 2. Hollow Chisel Mortiser — Highland has a top notch mortiser. I saw it in the store this week and it is high on my list. If you do a fair amount of mortise and tenon joints, then this tool may be just right for you. It is bench mounted and has a rack and pinion adjustable fence for easy alignment. The handle adjusts to six positions and is reversible. The switch is right up front and easy to reach. The bits lock into the spindle and there should be none of that twisted bits stuff which is so irritating on lesser models. This thing looks like an excellent medium duty machine for the serious amateur mortise maker. 3. ANYTHING from Festool. 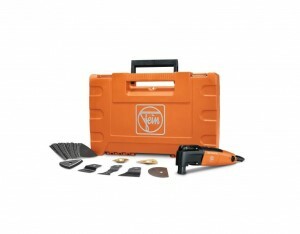 I have not started my Festool collection yet, but these tools are always on my list. Given my choice, I would start with the chop saw, then the router, and then the sanders with the vac. 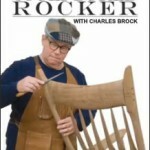 When I was working on my rocking chair, Charles Brock in his shop had the heavy duty Festool sander hooked up to the Festool vacuum and it is a sweet operation. Probably not going to happen this year, but perhaps if I am very, very good next year. 4. Sawstop Table Saw — Highland can ship the SawStop Contractor Saw to all the lower 48 states now and if you are looking at a table saw, you owe it to your spouse and family to keep all your fingers. Touted as the safest table saw out there, don’t ask for any other saw without looking seriously at this one. Watch the famous hot dog video, (or the chicken leg demo) and you will be a fan. 5. 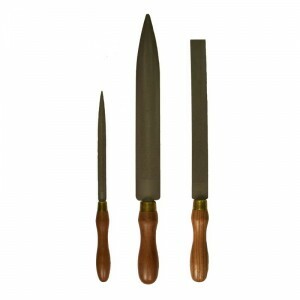 Auriou Chairmaker’s Rasp Set — If you have never used one of these things and all you have ever tried is one of those five dollar rasps from the local hardware, then you are in for a revelation. I had never used one of these things until I worked on a sculptured chair. Who knew that the single biggest issue with one of these beautiful tools is you have to be careful to not remove too much wood. There you go. Slide this list under the door for somebody, or leave it open on the computer. Or print it out and leave it under the breakfast cereal. If you don’t score any of these things this year, try being gooder next year. I’ll let you know how it worked out for me.